Are you part of the straw wars campaign? 8 to 12 million metric tons of plastic waste enter our oceans each year! This is huge! As we all know plastic can’t biodegrade, consequently it lasts indefinitely. This has resulted in scientists announcing that if we continue our greed with plastic then there will be more plastic in the ocean than fish by 2050. This could be sooner if the increased rate of dumping plastic waste and over fishing doesn’t slow down. Plastic pollution impacts our health, water, tourism, fishing and overall ecosystem with $13 billion spent annually on plastic pollution. It’s a well-known fact that this is a global problem. The introduction to the 5p plastic bag brought this alarming fact to peoples’ attention. An estimated 25,000 ocean health organisations are trying to combat this global epidemic. 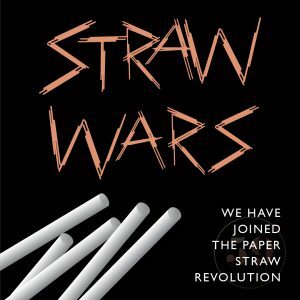 To integrate this into our lives these organisations have created ‘Straw Wars’ to help clear plastic straws from the oceans. Who hasn’t seen the 2015 viral video, watched by 11 million viewers of the sea turtle with a straw stuck up its nose? It’s enough to make you stop. 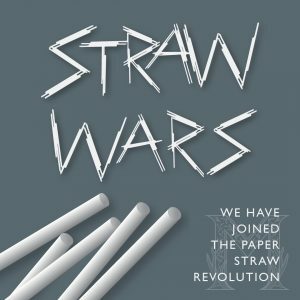 Straws are the latest on an expanding list of individual plastic products being highlighted to remove from our oceans. London alone is thought to throw away 2 billion straws each year. Currently this is the same volume as the whole of Italy. Our American friends have even more alarming numbers; 500 million drinking straws are used EVERY DAY! That would fill 125 school buses daily! As a result of these startling figures the British Government plans to eliminate all plastic waste in Britain within 25 years. Banning plastic is a trend across the world with Kenya, California, China, and Bangladesh starting with the banning of plastic bags. By banning straws from your bar, café, hotel, restaurant or home, you can save money as well as the environment. It can improve organisation reputation and engagement with consumers if initiative is taken. Companies are offering alternative bio-degradable straws to their customers but companies should be advised that some ‘eco-friendly’ straws may be plastic free but when they degrade they release toxins into the air or ocean and are worse for the environment than plastic straws! The HFS Group, today, is taking action and joining the movement. We want to positively impact the environment. We have removed all plastic straws from our coffee shops, restaurant and hotel and replaced them with eco friendly, completely biodegradable paper straws. They are put into our food waste bins where they biodegrade and do not effect the environment in any way. This will be offered to our customers upon request. 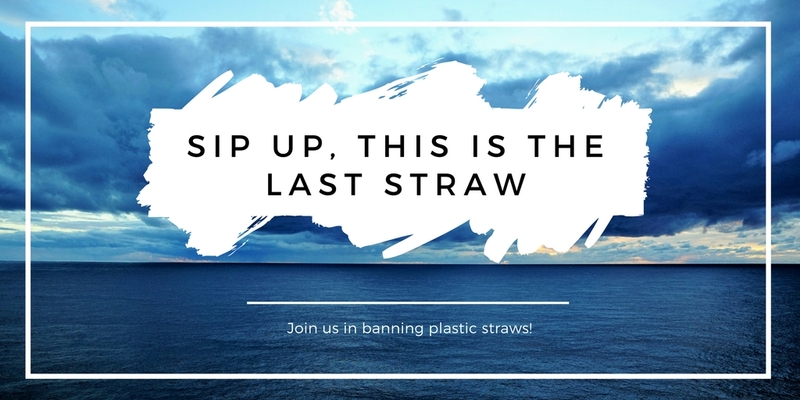 This is the ‘last straw’ so ‘sip up’ and join the movement.